Sabine MacCormack, Rev. Theodore M. Hesburgh, C.S.C., Professor of Arts and Letters at the University of Notre Dame, died Saturday (June 16) after suffering a heart attack while gardening at her home in South Bend. She was 71. A native of Frankfurt, Germany, MacCormack was educated there and in England, where she earned bachelor’s and doctoral degrees from Oxford University in 1964 and 1974, respectively. Before joining the Notre Dame faculty in 2003, she had taught history and the classics at the University of Texas at Austin, Stanford University, and the University of Michigan. MacCormack was one of Notre Dame’s most highly decorated faculty members. Among the conspicuous recognitions of her innovative scholarship were the 2001 Andrew W. Mellon Foundation’s Distinguished Achievement Award and her 2007 election to the American Academy of Arts and Sciences. She was the author of numerous articles and book chapters in several languages and the author of five books, including Art and Ceremony in late Antiquity; Religion in the Andes: Vision and Imagination in Early Colonial Peru; The Shadows of Poetry: Vergil in the Mind of Augustine; and, most recently, On the Wings of Time: Rome, the Incas, Spain and Peru. According to John McGreevy, I.A. 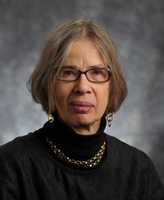 O’Shaughnessy Dean of the College of Arts and Letters, “Sabine was one of the most distinguished humanists in Notre Dame’s history, and one of the leading humanists in the contemporary scholarly world. “Her scholarly range, from antiquity to the colonial Andes, was matched by her extraordinary scholarly passion, from the impeccable Latin she used to study Augustine to the Quechua she mastered to better understand the lives of Andean indigenous people during the period of the Spanish conquest,” he says. Most recently, as if to illustrate that passion and range, MacCormack had been at work both on a textual exegesis of Saint Augustine’s commentaries on Genesis and on a study of the life and ideas of the 16th century Jesuit missionary, historian, and theologian José de Acosta S.J. A funeral Mass will be celebrated Friday (June 22) at 2 p.m. in Saint Matthew Cathedral Catholic Church in South Bend. Contributions may be made to the Bishop Crowley Education Fund in care of the Cathedral of St. Matthew. A memorial Mass for Sabine MacCormack in Notre Dame’s Basilica of the Sacred Heart is being planned for early next fall at a date and time to be announced.